Seniors are expected to have a completed Academic Career Plan - ACP (formerly e-portfolio) prior to graduation. This e-portfolio must be completed to go on the senior trip, participate in graduation ceremonies and to receive a diploma. Help sessions are currently available during resource period in room 118 with Mrs. Johnson. Seniors, we need your senior pictures turned ASAP!!! Please send these to Mr. Panasuk by Friday, February 1, 2019. Color pictures work the best with vertical orientation. Most photographers in the area will do this for you if requested. In order to access final transcript information, all students need to register with Parchment at www.parchment.com. This will allow students to be able to request and send transcripts to their preferred destinations online. Students will need to set up an account with Parchment. This is a free service to all students. Even though you register with Parchment now, transcripts will not be sent out until June. Seniors, please be sure to check the following scholarship link below for a wide variety of scholarships that you may be eligible for through student services. Be sure to check back frequently for the list is continuously changing. This year's senior panorama picture will take place on Monday, January 7th, 2019. Seniors will be receiving an order form on Monday, December 17th during homeroom. These order forms need to be filled out with the proper amount and returned to the high school on January 7th. Any students who still wish to order their senior panorama can do so during the week of January 7th. Blank order forms can be found in the office and MUST be returned to Mrs. Hanson in Student Services not later than Friday, January 11th. On Monday, January 7th, 2019 seniors will be receiving informational packets regarding cap and gown ordering information. Please take time to review this with your son/daughter due to it containing time sensitive materials. Orders can be placed on-line or by returning order forms to the school on the indicated days found below. Cost for cap and gown is $25. You may access the Herff Jones website by clicking on the link itself. Orders for ALL caps and gowns are due no later than Wednesday, February 13th. Orders may be placed one of two ways. 1. Completed order packets and money may be returned to the high school on either Tuesday, January 22nd OR Wednesday, February 13th during all lunch periods in the cafeteria. 2. Orders may also be placed online through the Herff Jones website. This MUST be done no later than Wednesday, February 13th. These items will be passed out in May. Please stay tuned for further updates. Any student that ordered anything else from Herff Jones other than your cap and gown, you may pick these items up from our Herff Jones representative on Monday, May 29th in the cafeteria during all lunches. Are you ready for some serious fun? 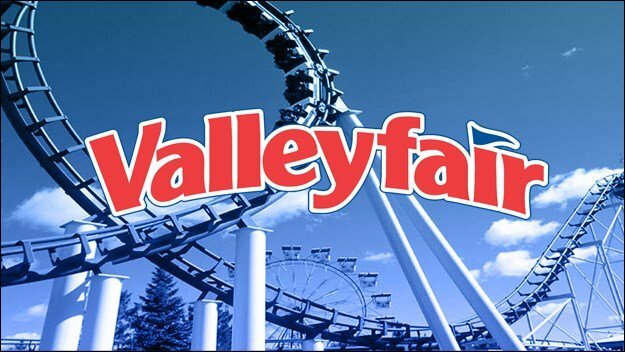 This year's senior class trip will take place on Friday, May 31st at Vallerfair located in Shakopee, MN. A day full of thrills, chills and waterpark fun! *Lunch is included! All you can eat grill buffet at our school's own private pavilion. *Cost $30 per student - covers coach bus, admission and lunch. *Any graduating senior that will be attending the senior trip MUST have their E-portfolio completed. During the last day of school for the senior class, Wednesday, June 5th, the students will board school buses around 9am to visit all area schools to say "thanks" and good bye. After that, around 11:15am, there will be a picnic lunch served to all graduating seniors in the cafeteria. Lastly, this will be followed up by graduation practice. *Your senior co-advisors for the 2018-2019 school year are Jean Schmitzer & Dale Zuzek. They can be reached at 715-234-2181.